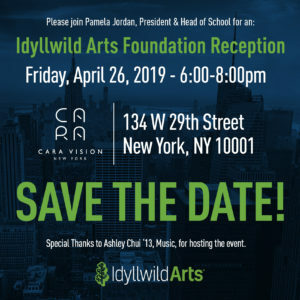 Due to unforeseen circumstances the Idyllwild Arts Reception in Los Angeles has been postponed to a later date. Please watch for a new date to be announced. Special thanks to Jason Wimberly ’00 for his kind assistance in providing the venue.